Making your own face scrub has so many benefits. For one, it’s cheap and you can make as much as you need. There are also no harsh chemicals added, since it’s all natural ingredients you would be using. 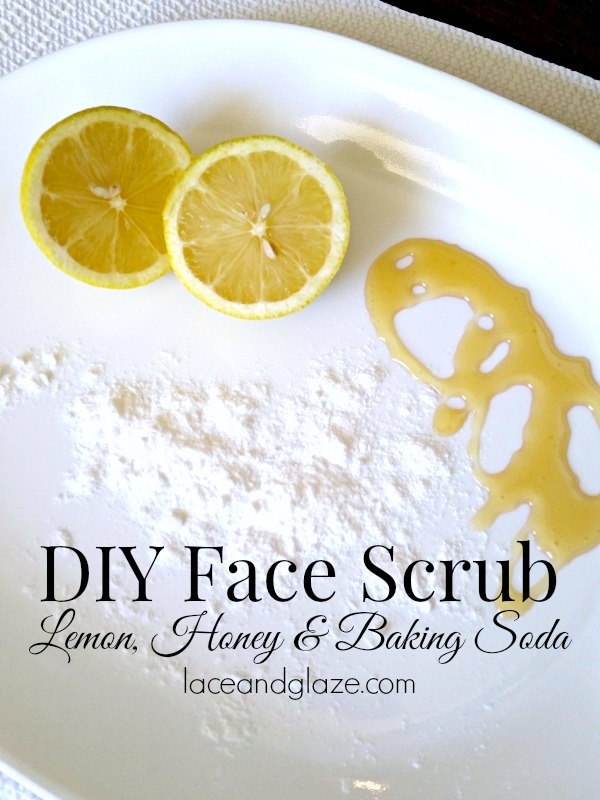 For my favorite face scrub all you need is a lemon, honey, and baking soda. 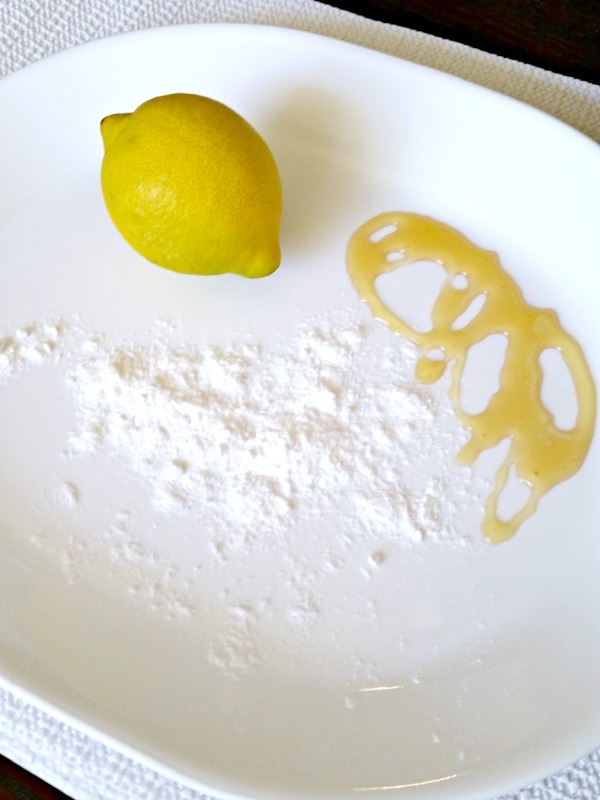 Lemon and honey both have antibacterial and antioxidant properties which make them ideal for a face scrub. They also help with acne scars. Baking soda works as the exfoliater. To make the scrub you first cut a lemon in half. 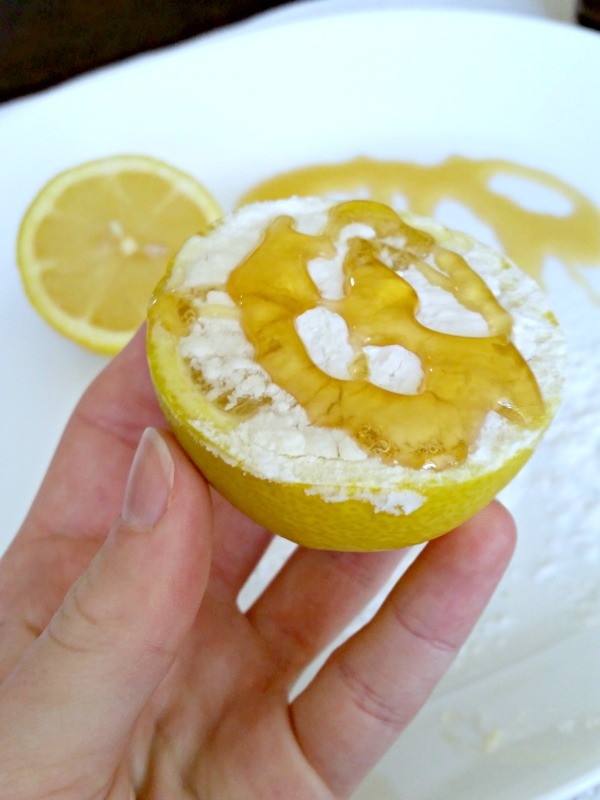 Next, you sprinkle some baking soda on the open side of the lemon and then drizzle honey over top of the baking soda. 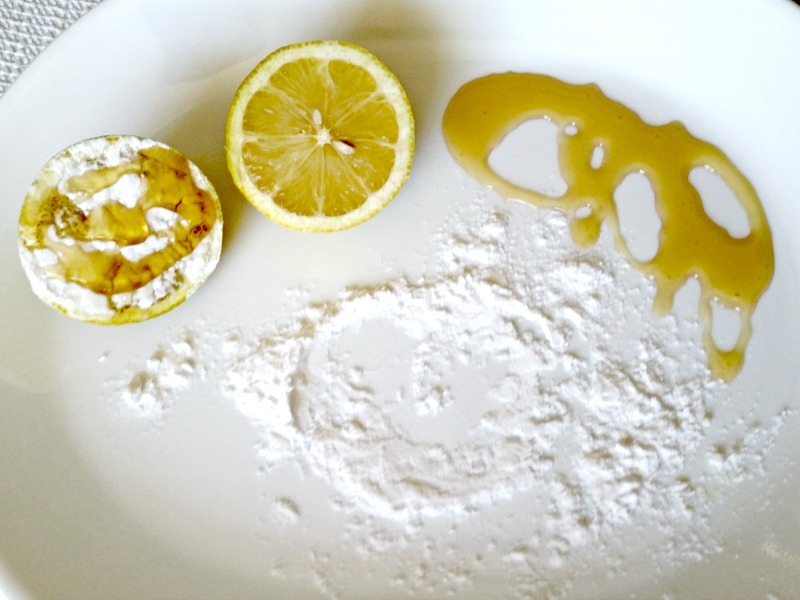 Then you can start to gently scrub the lemon on your face in circular motions. I love this scrub because it leaves my skin so soft and fresh afterwards. It smells SO good too. What an easy instruction! I’ll attempt it today. Thanks for sharing. I will have to try this. 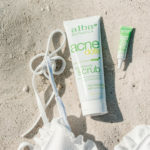 I love all natural scrubs. Thank you for sharing. I will be trying this! I love try scrubs I’ve made myself! Already tried, works great, thank you! Can’t wait to try this! 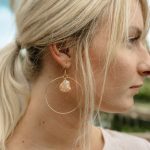 Thank you for sharing how to do it! Sound wonderful! I definitely have to try this. Many of the store bought scrubs can be so expensive not to mention all the unpronounceable ingredients they contain. Exactly. That’s what I love about this one, it’s cheap and you know exactly what you’re putting on your skin.